Running social media accounts? Are you 100% sure you’re doing the right tasks every day? If you answered no to the second question, then don’t panic. We speak to hundreds of people who say the same thing. 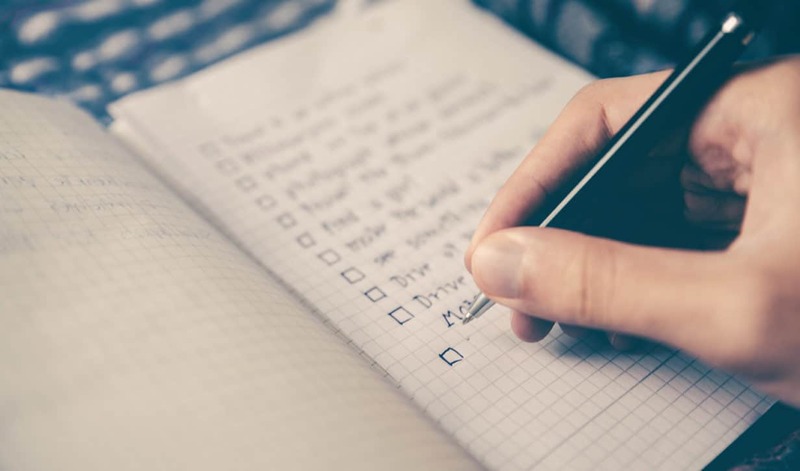 So, we have created a social media checklist to help guide you. Social media is a long process if you want to see growth on your channels. If you follow each of these steps, you will find your channels starting to grow. Check the Social Media Posts for the Day. Check grammar and spelling are correct. Check the links aren’t broken. Ensure any status updates aren’t going to clash with anything in the news. Check your posting times against tools like Followerwonk to ensure your audience is active when you’re posting. Schedule Additional Social Media Updates. Add in any extra updates that are necessary for the week. Do you have a new product? Perhaps your business will be appearing in the news today. Check the trending hashtags and add in any messages that can capitalise on the activity. Are the hashtags relevant to the post? Has Instagram banned them? Are they spelled correctly? Are they related to your audience? Has anyone tagged you in a post? Answer them if they have. Has anyone private messaged your accounts? Check for message requests too. Retweet and Share Content from Other Channels. Review Google alert emails or search for articles that you can schedule as posts. Upload them to your schedule with a comment about the points made in the article. Has anyone followed you today? Check their accounts to see if they are an influencer you should follow back. Give one of their pictures a like and a comment. If they are a spam account, report the account and force un-follow them. Inactive or spam accounts can bring down your engagement rate, so make sure you get rid of them. Comment, Like, and Engage with Posts on Top Hashtags. Like and leave a genuine, relevant comment on the top hashtags for your industry. If you follow Gary Vaynerchuk, you may have heard about the $1.80 strategy. Leave a genuine comment on the nine top pictures across nine top hashtags for your industry. It works, and your Instagram account will grow. Add next weeks schedule to your scheduling software. Pay attention to your content calendar and check for relevant national days, film releases and other industry happenings. Have a quick glance over your analytics. How have your posts performed this week? Have your followers grown? Do you need to tweak your campaigns? Who are the top people in your industry? Strike up a conversation on social media or send them an email. Update Your Social Media Adverts. Turn off adverts that aren’t performing and set up new A/B tests for adverts. Add new articles, post ideas and shout-outs to your content database. If you use a scheduler with a content library, make sure you’re regularly adding new content. If not, create a spreadsheet with all your post ideas. Social media changes all the time. Make sure you’re keeping up to date and using all their features. Read blogs, check Subreddits, and search twitter for social media updates. Monitor Progress of Upcoming Campaigns. Have all your images been created? Is the wording right? Have landing pages been created? Check up with your team or agency to see how things are coming along. What are your competitors up to? Can you find inspiration? What hashtags do they use? What links are they sharing? Get a fresh perspective on ideas by sitting down with colleagues all over the company. Ask them about their projects and see how you can work with them to achieve their goals. Refresh your artwork on your header banners. Show new products, add a fresh look. Check all information is correct on any about pages. Update ‘buy now’ links on Facebook. Add new products to the Facebook shop, update services and check descriptions. If you have dynamic adverts turned on, make sure all of your products are in the catalogues, and the information is still pulling through correctly. Download the month’s stats and plug them into a report. Where could you improve? What areas are working for you? How are you going to add extra growth this month? Create next month’s social media updates and posts. Is there a healthy mix of content. What national days are coming up? Relevant birthdays? Film releases? Check upcoming content is still relevant. Research Hashtags and Update Hashtag Spreadsheets. Search for popular hashtags in your industry. Look at the top posts and look at the hashtags they use. You may need to dig through the comment section to find them. What new hashtags are not on your hashtag research spreadsheet. Add them. Finding social media a bit of a handful? Chat with us today about how you can cut down the time you spend on your social channels and still get the results you need. I’ve been browsing online for more than three hours today, yet I didn’t find any interesting articles like yours. In my eyes, if all website owners and bloggers made as good content as you do, the internet would be a lot more useful. I think this is among the most vital information for me. Good job, cheers! Previous: Previous post: Which Social Networks Should I Use? Next: Next post: The Pros and Cons of Snapchat for Business.